S.R. Overseas is a recognized Manufacturer, Trader, Distributor & Supplier of School Bag, Backpack Bag, Laptop Backpack, Rucksack Bag, Office Bag & Excursion Bag. 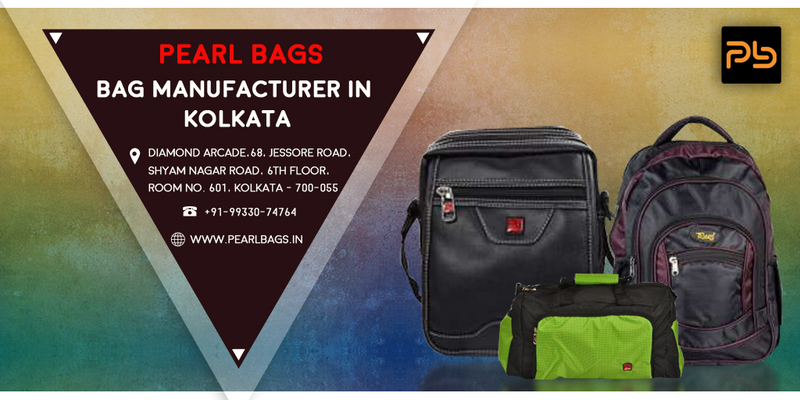 Since 2005, we have been serving our customers with a wide assortment of bags, through our infrastructure in Kolkata, West Bengal in the brand name of PEARL BAGS. We are committed to provide the best quality products which maximizes customer satisfaction. Our products have received regular adulation & recognition for being durable, strong and elegant.We hold customer satisfaction very dear to us & thus, maintain strict quality parameters & always work hard to achieve this goal of ours.We also offer customized product range as per the requirements of our customers. Quality is our main concern and we manufacture best quality products which are in accordance to international quality standards. We have a separate quality control department to check the products on various parameters of quality such as strength, stitching techniques and right patterns. We have adequate infrastructure and experienced team members to deliver superior quality. Each and every product featuring in our portfolio comes with due warranties. Browse our collection and order from the comfort of your homes. Thanks to our unflagging adherence to the strictest of quality parameters, we have ended up garnering continued adulation from our esteemed clientele. 100% customer satisfaction guaranteed. Check out our website for more details!